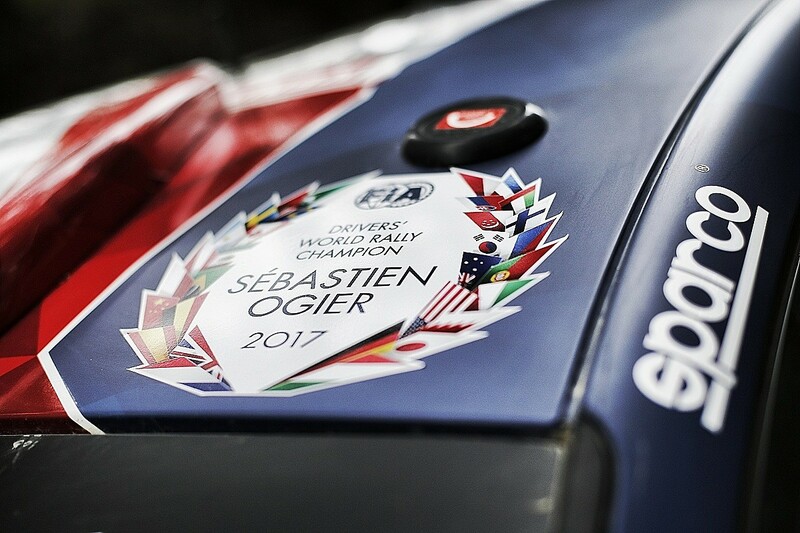 Sebastien Ogier is retiring. Now he's staying at M-Sport. No, definitely retiring; wants to spend more time with the family. Ah, hang on, news just in... he's going back to Citroen. How long for? A year. Definitely just the year. Maybe two. Might even be three. That, in a nutshell, is how news of the five-time world champion's immediate future in the World Rally Championship has ebbed and flowed since the summer. This year's driver market season hasn't just been silly - it's been utterly stupid. And the WRC is just not really used to this kind of thing. OK, it's used to Ogier being at the epicentre of any potential inter-team movement: when Volkswagen walked out at the end of 2016, series observers hung on his every word as he tested, first an alarmingly wayward Toyota, and then M-Sport's Ford Fiesta WRC. For a few weeks, the speculation was intense. But ultimately Cumbria was as far north as Ogier would go - Puuppola was a step too far. And last year's fifth title - allied to the success in the makes' race for M-Sport - proved the Frenchman called it right. Once Ogier was in place, fellow former Polo players Jari-Matti Latvala and Andreas Mikkelsen were left to squabble over a 2017 Toyota seat. Mikkelsen was in - a done deal. Right up until the point that the music stopped and he found J-ML sitting pretty in the Yaris WRC. Mikkelsen was out in the cold. But he did provide an ongoing driver market story as he competed for Skoda and Citroen, before finally tying up a deal with Hyundai in September last year. Courtesy of that mid-year deal, the Norwegian was one of just two WRC drivers with a signed contract for 2019. Joining Mikkelsen to watch this year's mental musical chairs from the sidelines was Ott Tanak. The Estonian was just about the only driver change of interest 12 months ago (unless you include Elfyn Evans fitting Michelins instead of DMACKs to the corners of an otherwise unchanged factory Fiesta). With so much potential for change in 2019 came astonishing speculation, with every driver possibly going to every team. The social media soapbox has served only to fan the flames. I've lost count of the number of emails I've had from readers, from the moderately irked to the flat-out irate, that I've missed the fact that Hayden Paddon is definitely moving to M-Sport. Or Kimi Raikkonen is undoubtedly going to drive a Toyota. Don't I read tweets? Citroen's interest in Ogier came, I will admit, as something of a surprise. In my own defence, I'd like to call on PSA Group CEO Carlos Tavares, who told me at the top of the season the team didn't need Ogier because: "We believe we have a great driver called Kris Meeke... we love Mr Ogier, he's a great champion, who we respect a lot, but at the end of the day we make our decisions based on our strategy and we take the risk of being unpopular. But this is our strategy." Even when Citroen binned its 'great driver' in May, Ogier still didn't move far on that particular radar. Those in the know talked far more of Citroen's fight to remain in the championship, rather than the pursuit of the one it helped make great back in the day. 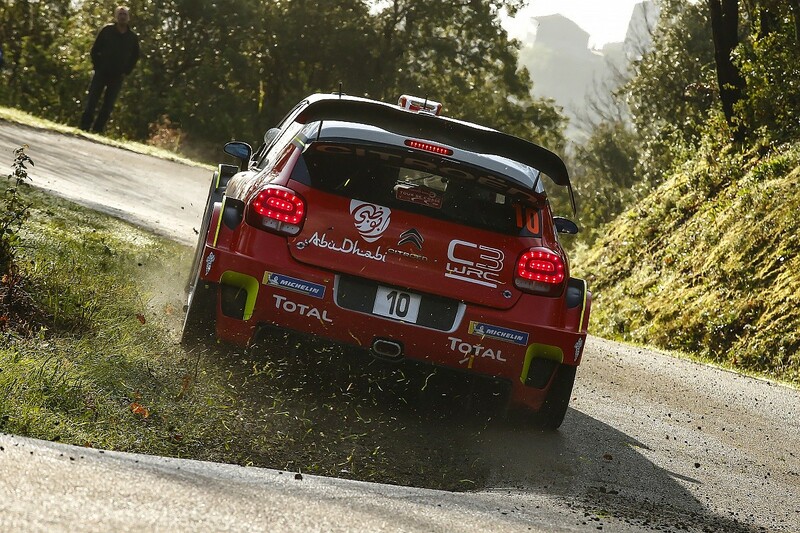 But Citroen team principal Pierre Budar moved swiftly and decisively in landing Ogier. He asked the Frenchman what it would take, went away to Citroen CEO Linda Jackson and Tavares, found the cash and brought the French dream back to life. Esapekka Lappi's decision to follow Ogier to Versailles caught Toyota boss Tommi Makinen off guard. Again, the deal was done quickly as Budar sought to further reassure an increasingly ageing group of success-hungry Citroen Racing fans that the good times were ready to roll once more. I remember one particular call to Makinen last month. I asked him directly whether Lappi had told him he was leaving. I'd heard he hadn't, but was about to. Makinen sounded distracted. I asked him if I'd caught him at a bad time. Apparently so - he was about to be on the other line... to Lappi's manager. 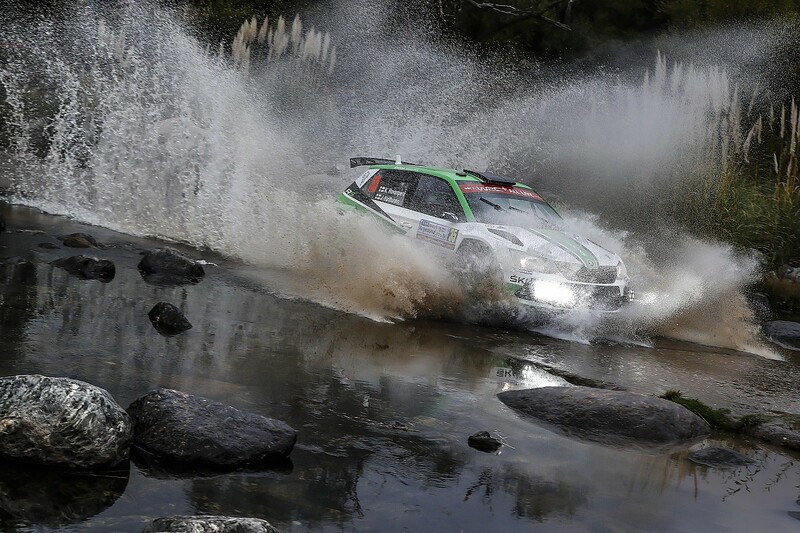 It'd been clear for some time that all was not well with Lappi and his four-time world champion boss, but the prospect of him moving away from this most Finnish of teams seemed fairly remote. Until it happened. So now, what of the Toyota seat Lappi would be vacating? Let's tune in to social media. It was going to be Raikkonen's, obviously. But apart from him? Kalle Rovanpera was one name that kept coming up. And not without good reason. As a 15-year-old, back in the summer of 2016, Kalle had done a day of endurance testing in a Yaris WRC. Now, at the ripe old age of 18, why on earth wouldn't he be ready for a full-time factory seat with the world's biggest car maker? It's not happening. Kalle's a Skoda man for the next two years. But, I'd wager the fine print of that Czech-made contract will be under close scrutiny in a year. If he keeps progressing at the speed he is, expect to be talking about Rovanpera's step up to the big time in 2020. Craig Breen, Hayden Paddon, Elfyn Evans, Mads Ostberg, Dani Sordo (who, according to the rumour mill, turned down a full year at Citroen to stick with a half-season and better work-life balance at Hyundai) - they were all linked to talks with Toyota. But actually, it was none of the above. Not long after the Lappi speculation started, I ran through the list with Makinen, saving one name for the end. The response had been lukewarm, until my pause. Tommi leaned back in his chair and smiled. This was nothing new. As the team struggled for some mid-season direction, the suggestion of a casting an eye in the direction of Dungannon became a regular feature of my conversations with Makinen. 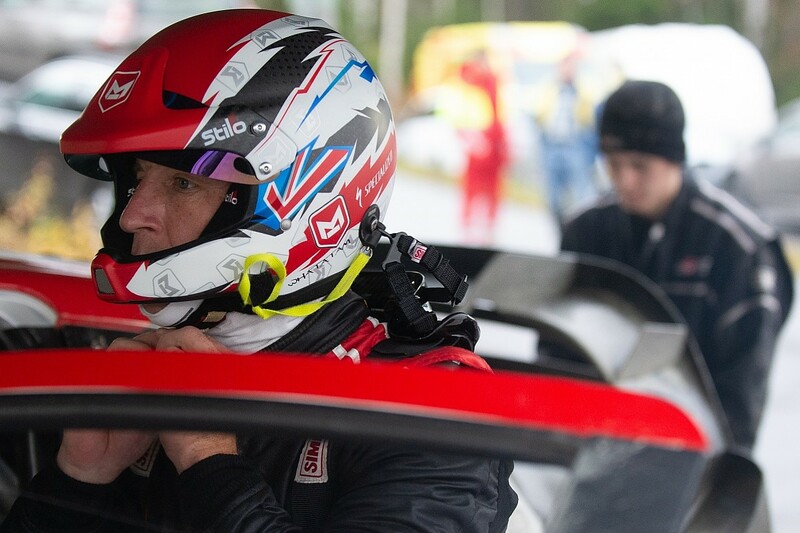 Between calls to Wilson, Meeke flew in and out of Jyvaskyla and ultimately did his deal. This caught me completely off-guard. Makinen loved that. He laughed longer and louder. "I talked on the telephone with him." I got some specifics and a little off the record, but what to do now? Universally, team principals admitted they'd spoken to Meeke, so was there news in a conversation? More fishing revealed genuine potential and a real prospect here. I bagged a bit more detail and Autosport ran the story. 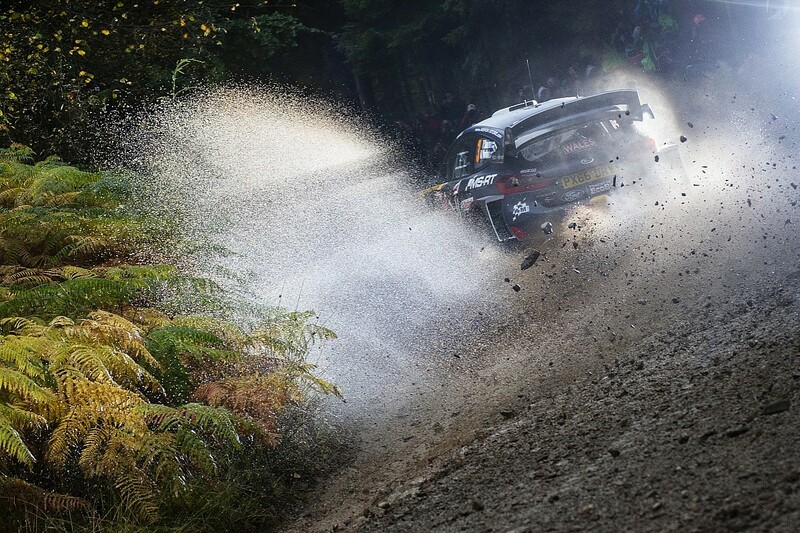 Simultaneously, Meeke and M-Sport was warming up nicely. By his own admission, Malcolm Wilson loves a challenge and delivering a British world champion from his British team is something he's long hankered after. It was tempting. It was close and the pair talked. It would have been something to see Meeke back at M-Sport. Eighteen years ago, he collected his mechanical engineering degree from Queen's University in Belfast and took it across the water to Cockermouth, where he began his professional career in motorsport as a CAD designer. It really would have been a moment to see if he could complete the job his mentor Colin McRae came so close to with the Cumbrians in 2001. It might still happen. Stranger things have. But between those calls to Wilson, Meeke flew in and out of Jyvaskyla and ultimately did his deal. But that act wasn't the finale in this strangest of pantomime seasons. We still have to see M-Sport's moves for next season. Who will go there? Teemu Suninen's a done deal, but who'll join him? My money's on Breen. Or Evans. Pontus Tidemand, anybody? Actually, it's bound to be Raikkonen.